Locomotive engine drivers have decided to stage a continuous strike action starting from midnight today (05). 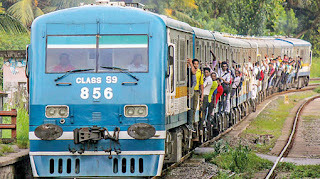 The Secretary of Locomotive Engineering Operators’ Union (LEOU) Indika Dodangoda stated that this decision was taken to protest the arbitrary recruitment of locomotive engine drivers while violating the recruiting procedure. Railway guards, railway controllers and station masters have also agreed to support the strike action, LEOU Secretary further said.